Home » Gadgets & Apps » Does anyone in Zimbabwe use BBM at all? 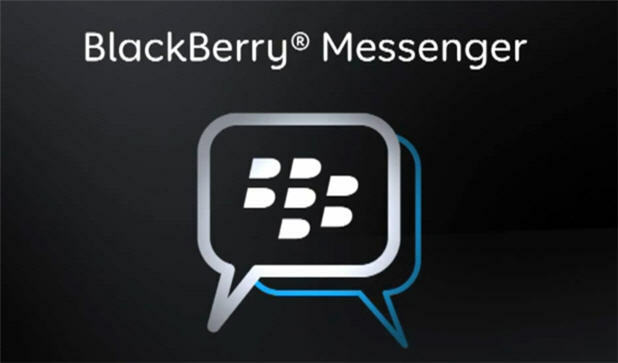 There was quite some expectation when BlackBerry launched their BBM mobile chat service on IOS and Android platforms last year. We remember we were as excited as any regular Zimbabwean who’s had their South African relatives speak highly about BlackBerry and its services. And we rushed to install it too and added a number of friends, all the while expecting this to take over messaging from WhatsApp and Facebook. I didn’t see it happening. It hasn’t happened to this day in fact. The ever present “BBM Connected” notification just sits there along with Android notifications I actually tap on but never do I go into the app. Except maybe by mistake after which I quickly come out and go on to WhatsApp, Hangouts, Facebook Messenger or Instagram. But maybe that’s because I only ever added 5 contacts. How come I don’t get any contacts invites through the way I do on the other apps? It came but it was too late? What’s your BBM experience? You use it at all? That BBM thingy never took off in Zim boss. Like you I had just about 8 contacts, whom I rarely had a meaningful conversation with since they were just a bunch of techies and early adopters and not people I actually chat with all day. Then the inevitable happened. I rooted my phone, and installed a custom ROM and then when I reinstalled BBM I failed to get back the PIN that my other contacts had. When I tried to recover my PIN BBM only offered to give me a new PIN. It seems once you uninstall BBM you get a new pin because the PIN is generated per installation. And because you add people by PIN, since i had not memorized or saved people’s PINS anywhere (who memorizes a hexadecimal coded expression anyway) I just lost ionterest and uninstalled. I guess BBM without BIS (on the Blackberry platform) cannot compete with whatsapp on android/ios. There just is no extra incentive. Besides it’s just more cumbersome to setup and most of us are too lazy to send out the BBM PIN invites. Why bother Whatsapp does it for you! I guess a Blackberry phone without BIS cannot compete with even very cheap androids. Even with BIS, those devices are, well not useless but something along those lines. In SA, most peeps I know who had blackberries have changed to android, mostly Samsung. This will be a cool idea! Particularly posting summary news updates, breaking news and maybe jus general tips… Obviously there won’t be trolls there I hope. BBM is in the history books already! We tried to help someone the other day that had a BlackBerry Z10 put in Econet’s APN details, needless to say we failed. After reading what my trusty advisor Mr. G. Oogle showed me apparently BB locks this feature so that only the network can issue the APN details of which we where told Econet is not allowed to work with BB? The only place for BlackBerry now is in Trevor Noah’s latest show.